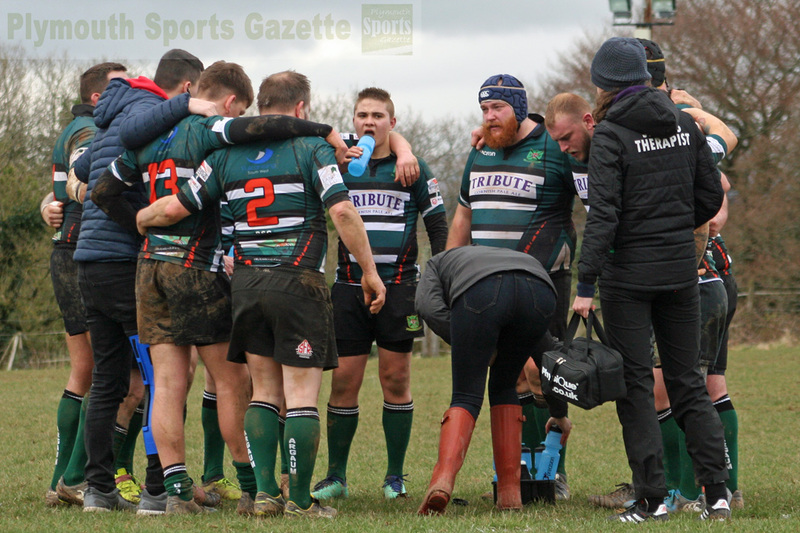 IVYBRIDGE will end their 2019-20 season with a tough trip to Cornwall on Saturday to take on Camborne. The Bridgers had been expecting to finish their campaign with a Devon Cup final against Barnstaple on April 20 but a quirk in the rules has denied them that chance. Instead they will be looking to go out on a high at the Recreation Ground where a win would definitely secure them fourth place, with third spot also up for grabs if Maidenhead fail to beat Brixham away. The lowest Ivybridge can finish is fifth, which would still be their highest placing, but they would love to sneak third. “It is fine margins between a top three finish and a top five finish,” said Ivybridge player-coach Jamie Tripcony. “Obviously everyone would want a top three finish, but first and foremost we have got to win. The sides met on the opening day of the campaign, with Ivybridge winning an entertaining game on their new pitch 29-24. “A lot of water has gone under the bridge since then,” said Tripcony. “We are going into the unknown a little bit this weekend having played a them right at the start of the season and then not playing them again until the last game. “But we know what a traditional Camborne team is like. On their day they are a huge scalp to take. 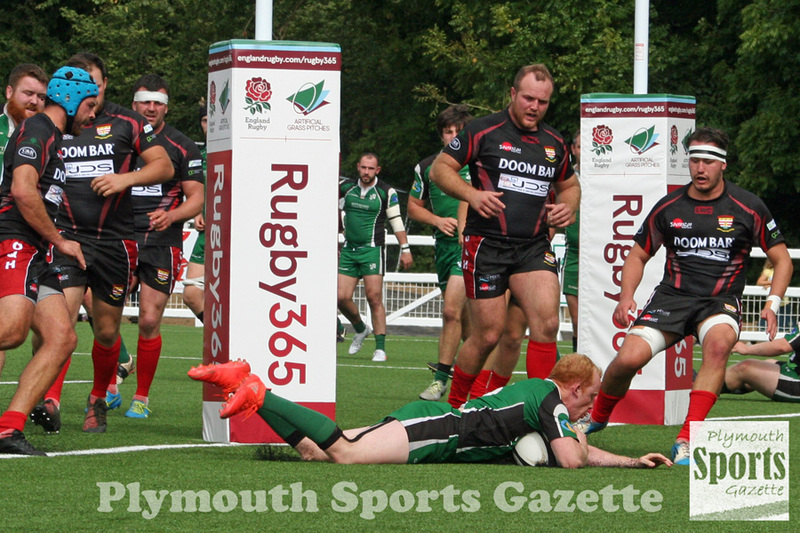 Ivybridge scored four tries in the opening 25 minutes of last week’s win over Brixham. However, they will have to change their team slightly as they do have a few unavailabilities this Saturday. DEVONPORT Services will complete their first season in South West One with a home fixture against title-chasing Okehampton. Leaders Okehampton need to win to guarantee top spot ahead of Launceston and avoid the dreaded play-offs. Services may not have the same pressure on them on Saturday but they want to avoid ending the season on the back of six straight defeats. A win this weekend would also help their chances in the Devon Senior Shield final where they will play Okehampton again on Easter Sunday. If Okehampton miss out on top spot then their focus is likely to be on the play-offs rather than the cup final. “We have lost five games in a row and it will be six if we don’t win this weekend, which is what we are aiming to stop,” said Services coach Mike Lewis. “We are not looking at it like we are trying to spoil anyone’s party or anything. 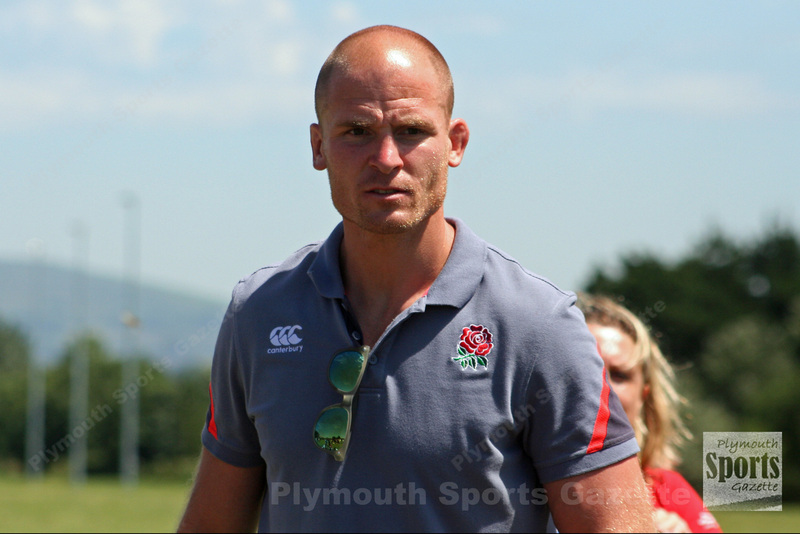 “They (Okehampton) will be very much motivated for this game. Services’ home record has been pretty good this season. Their biggest defeat at the Rectory has only been by five points. However, since narrowly losing 26-22 to Launceston on March 9, which ended their hopes of a top three finish, Services have gone off the boil. “Some of the rugby we have been playing has been fantastic but some of the errors we have been making are quite uncharacteristic,” said Lewis. The Services coach admitted player availability has hampered his side in recent weeks with a lack of team consistency. They are likely to have to make a number of changes again this weekend, but they are expected to have captain Matt Gregory back after missing the last few weeks. In Western Counties West, Saltash have a massive match against title-chasing Sidmouth at Moorland Lane. Both clubs want a win on the final day of the season for different reasons. Sidmouth know a victory will guarantee them the title and promotion, while Saltash know a win will totally guarantee their safety. The Ashes sit fifth from bottom, three points ahead of third-from-bottom Chard and two points in front of fourth-from-bottom Bideford. They might have already done enough to be safe, if only two teams are relegated again this year, but that will not be confirmed until after the promotion play-offs. However, Saltash will not want to leave anything to chance. The Ashes will also have a point to prove against Sidmouth after they were hammered 64-7 on the opening day of the season. 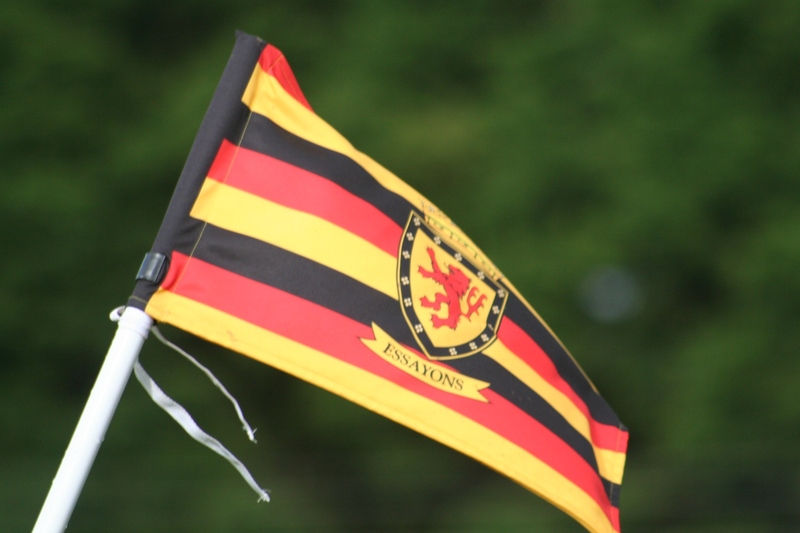 TAVISTOCK’S season will no longer finish on Saturday when they travel to Bude in the Cornwall/Devon League after they beat Saltash II 50-14 in mid-week to book a place in the RNEC Cup final. They will now play Devon One side Tamar Saracens on Wednesday evening at the Rectory aiming to defend the trophy they won last year. Tavistock took a bit of time to get going against Saltash in their semi-final but George Hillson got them off the mark on 15 minutes and he then added another before half-time to go with ones from Ed Nettleship and Ethan Lamerton. Saltash hit back in the second half with two converted tries but Tavistock finished the stronger and Hillson completed his hat-trick to go with scores from Andrew Craddock, Ant De la Cour and a rare touch-down from Ash Martin. Places in Wednesday’s cup final will be up for grabs on Saturday when they travel to third-placed Bude. 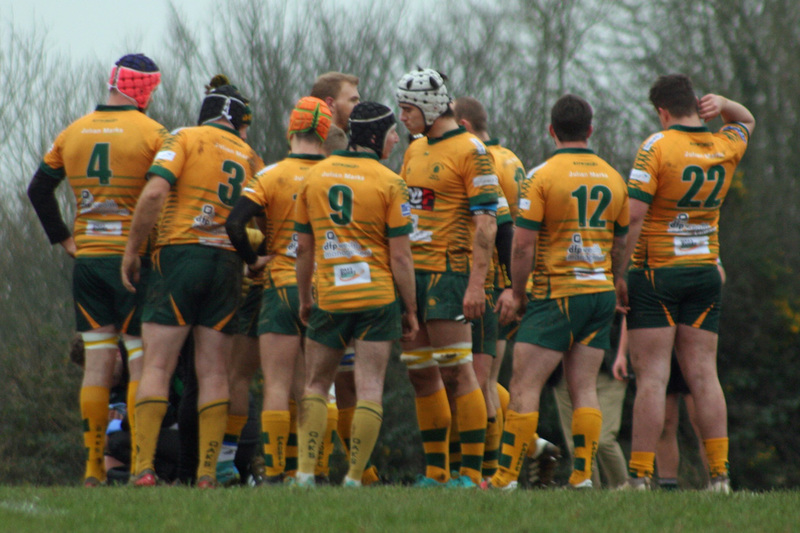 Bude’s hopes of promotion were ended last weekend when they lost to South Molton. However, Bude have proved one of the toughest teams to beat in the Cornwall/Devon League this season, especially at their own place, so Tavistock are expecting a tough afternoon. 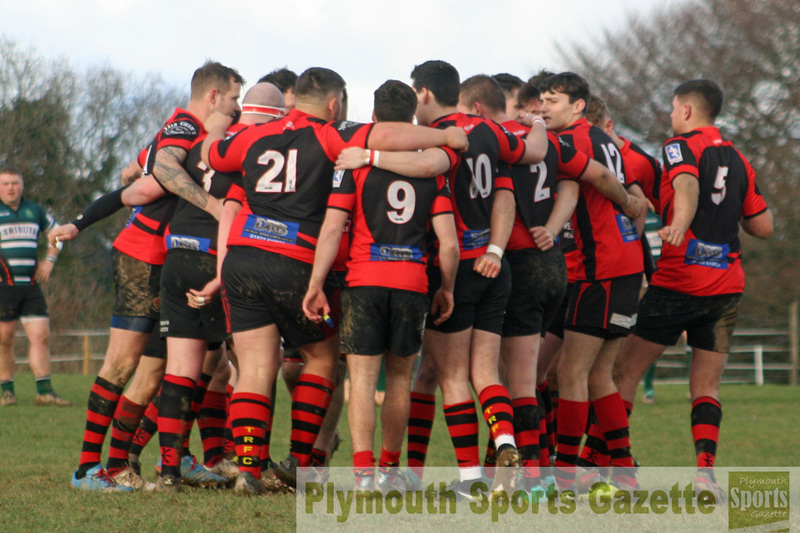 Plymstock Albion Oaks may have missed out on a top two finish in the Cornwall/Devon League but they could have a hand in deciding where the title goes this weekend. They travel to leaders Penryn looking to upset the Cornish club for a second time this season. 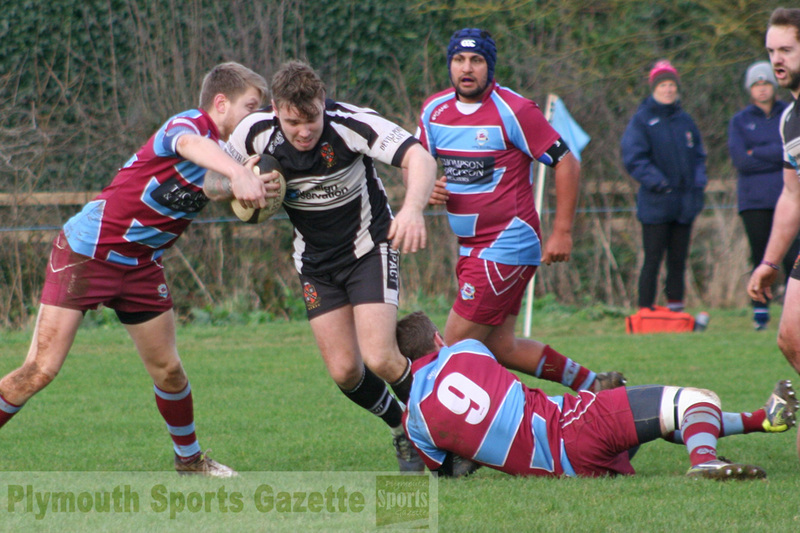 If they could get a win in Cornwall then it would open the door for Honiton to win the league. Oaks will know Penryn will be fired up for the game, especially having lost to Oaks on the opening day of the campaign. “I think they will want to go up as league winners so will want to win,” said Oaks player-coach Aiden Taylor. “So it will be a tough game. Oaks’ will not finish their season until April 27 as they have reached the Devon Intermediate Shield final where they will play Honiton. 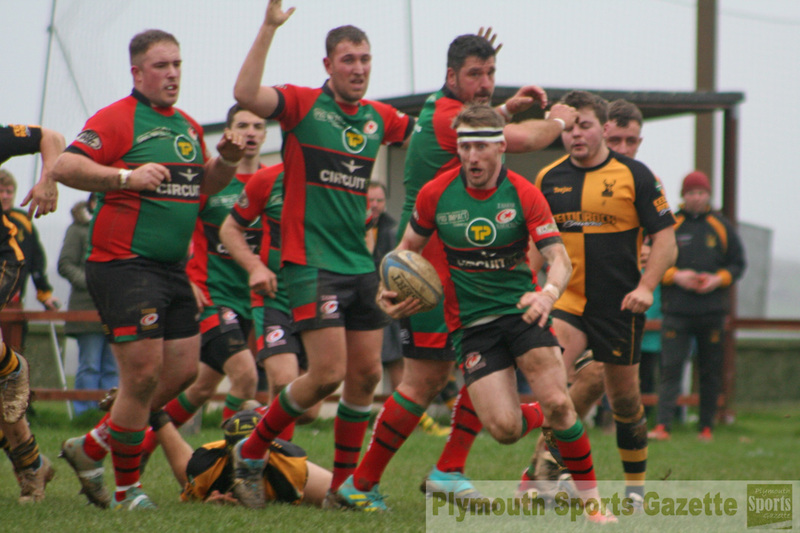 Plymouth Argaum will play their final match in the Cornwall/Devon League when they travel to Pirates Amateurs on Saturday. After four years in the league, Argaum are heading back to Devon One after failing to win a game in 2019, but if there were to pull off a victory this weekend they could also relegate the Pirates. The Pirates are battling with their Cornish rivals Hayle for the final relegation place. “The pressure is off us, but still on the Pirates,” said Argaum secretary Stuart Quarterman. Argaum should be boosted by the return of the likes of Calum Mills, Adam Walker and Dan Bolt, while the club are looking forward to seeing recent signing Anthony Harris in action again after he made his debut last weekend. TAMAR Saracens will finish fourth in Devon One, if they can beat third-placed Exeter Saracens away on Saturday. Sarries suffered their first defeat of 2019 last weekend when they lost 20-8 to second-placed Exeter Athletic in a game that ended on 68 minutes due to injury. “We are going for that fourth spot, that is our goal,” said Sarries player Marc Cioffi. Saracens are looking for revenge after a shock 38-5 home defeat to their Exeter namesakes at the start of the season. Saracens are taking a 52-seater coach to Exeter on Saturday for their last trip of the season. “It is going to be a celebration of the club and a great second half of the season,” said Cioffi. However, Sarries will not be finished on Saturday as they will play Tavistock in the RNEC Cup final on Wednesday evening. “Everyone is fighting for a shirt for that cup final,” said Cioffi. Old Techs also have their eyes on a final, having reached the Lockie Cup showpiece event on April 24, where they will play Devonport Services II. This weekend they will end their league season with a trip to bottom side New Cross. They are also taking a coach up and making a day of it and have a fancy dress theme planned for the day. Techs have been in good try scoring form in the last couple of months and will be hoping to continue that at New Cross. When the sides met at the start ofthe season, Techs won 29-17. OPMs will be out to cause an upset on Saturday when they end their season away at Devon One champions North Tawton. OPMs got their first win of 2019 last weekend when they beat New Cross 39-27. They will know what to expect from North Tawton having been in the same league as them last season and having been beaten 39-15 at home on the opening day of the campaign. “It is a tough one,” said captain Billy Garratt. “But we have to go up there with the same intensity and attitude as last week and hopefully we can get another win.